RoadsideWonders is gaining quite a collection of chairs . 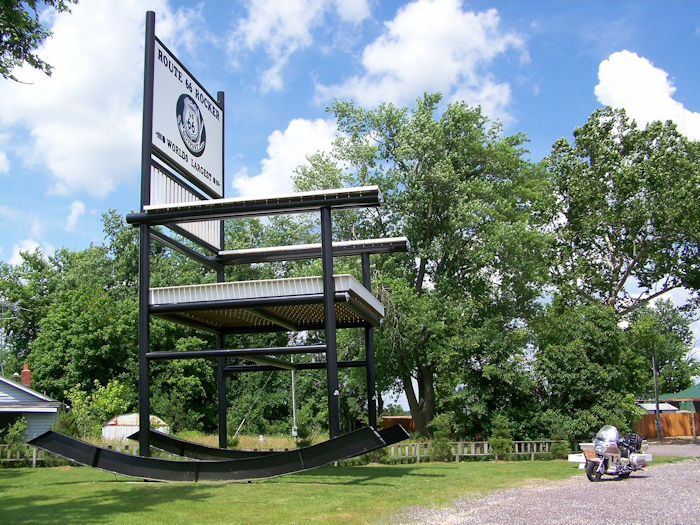 . . but the rocker that takes the world’s largest title is the Route 66 Rocker in Cuba, Missouri! Thanks to Solarwing for snagging these great photos! There’s a great business by the rocker: Fanning US 66 Outpost General Store. They also have a 4-plex Archery Center and a nearby Taxidermy Studio. The store has convenience items, gift/art, souvenirs, and more. It on’s Route 66, just off I-44 in MO. http://www.fanning66outpost.com. 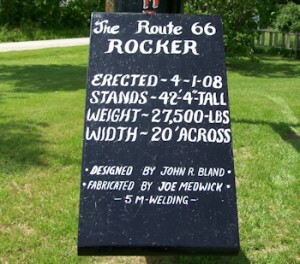 The rocker went up in 2008, so it is not in old guidebooks. Jane, I’ve been told that one day a year you might allow people up on the rocking chair to get their pictures taken. Do you know what day that might be this year? 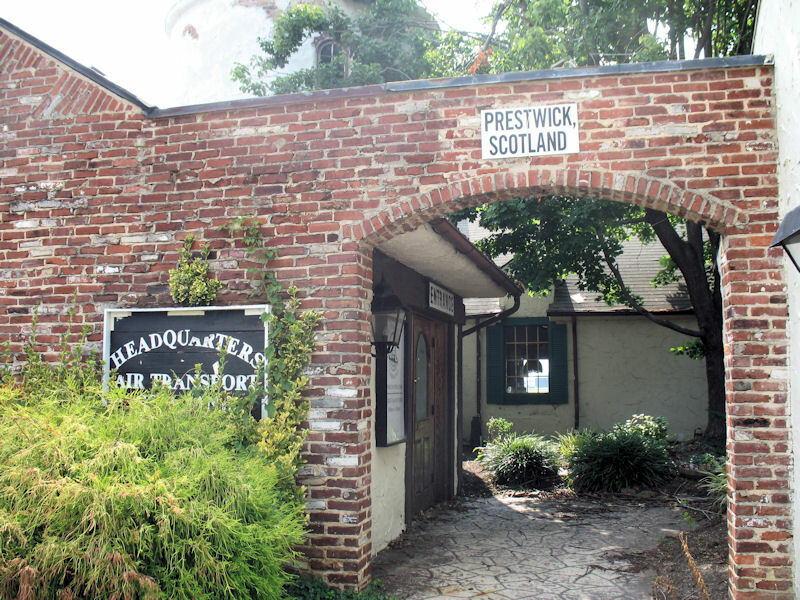 I think the best way to find that out would be to contact Fanning Outpost directly.